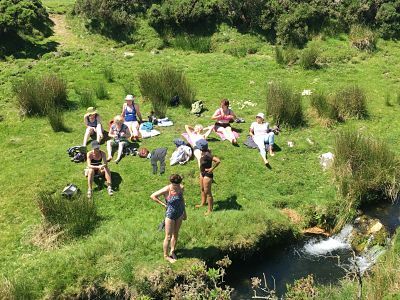 Following the success of our previous Dartmoor retreats, we can again offer you the chance to unwind and reconnect with your inner source of joy and wellbeing. The warm and friendly atmosphere of the beautiful Bala Brook Retreat Centre you will be inspired to deepen your practice with both invigorating and restorative yoga sessions and meditation with experienced teachers. 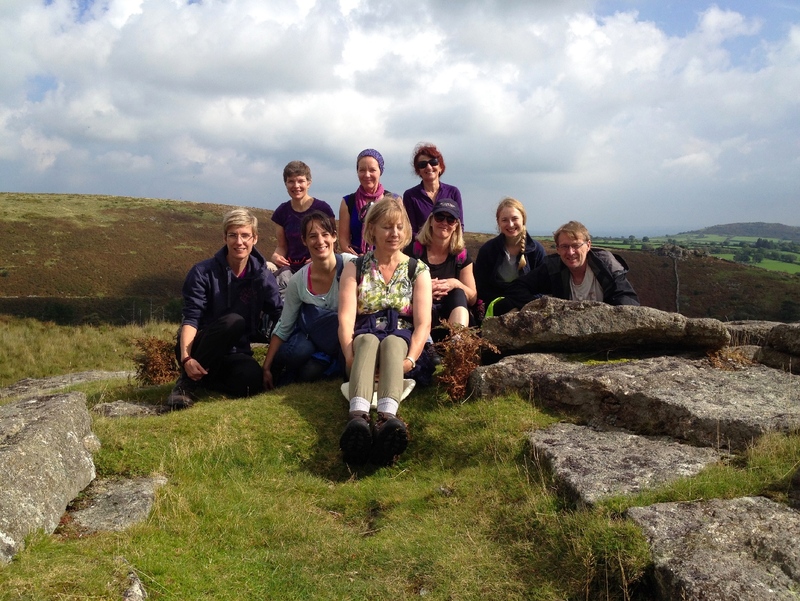 During the guided walks we will explore the varied atmospheric landscapes with its tors, water falls and ancient oaks. There will also be periods of silence and mindful walking in nature to further nourish us. Participants on our retreats often comment how well yoga and walking in nature complement each other. Also constantly praised is the imaginative vegetarian food created by our cook Polly - a delicious and important part of a truly nurturing weekend. Start and Finishing times. We have found that some people cannot arrive on a Thursday, so this year there is an option to start your retreat on Friday. Please plan to arrive any time after 3 pm on Thursday; the first session is at 5.30 - gentle yoga to wind down before our welcome supper. The retreat finishes on Sunday after lunch so you can plan your home journey from 2pm. Cost includes accommodation, all meals, refreshments and tuition. Single rooms: £375/275 en suite, £330/230 economy shared bathroom. Twin rooms: £360/260 en suite, £330/230 shared bathroom. There will be a maximum of 14 guests. On one of the day's there will be a long walk which will include a packed lunch. Yoga. Lucie’s teaching is influenced by different strands of Hatha Yoga to create a session that builds strength and flexibility in a graceful way. She blends posture work and relaxation in an harmonizing wholeness with emphasis on mindfulness – opening up to the innate joy and peace at the source of our being. There will be morning and late afternoon yoga sessions as well as meditation before breakfast. All levels are welcome but to benefit most it is advisable to have some basic experience of yoga. John has been teaching yoga for 16 years and now facilitates yoga and Buddhist retreats at Bala Brook. He will be leading the pranayama, meditation sessions and guided walks. Lucie and John have been running Yoga and Walking retreats together at Bala Brook for a number of years.